If Martians did actually exist, such as those that the astronomer Percival Lowell believed in or those that H. G. Wells dreamed of in The War of the Worlds, on 2 December 1971 they would have seen a mushroom-shaped UFO emerge from the sky and gently land on their planet. If they had come close to examine it, they would have found a metal sphere with four open triangular petals and crowned by a red pennant with strange yellow symbols. 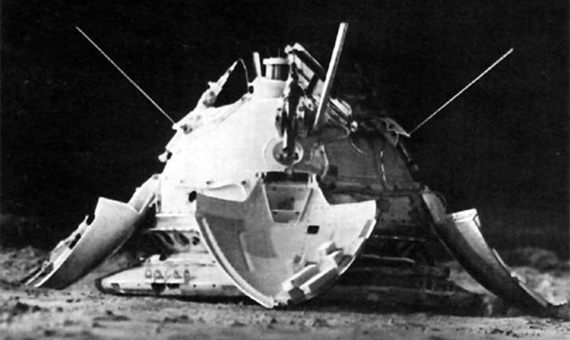 The landing module of the Soviet spacecraft Mars 3 was the first human-made artefact to land safely on Martian soil. But the joy felt by the scientists who built it was short-lived, just 14.5 seconds. This was the length of time during which the device managed to transmit data before falling silent forever for unknown reasons. The result of that brief transmission was 70 lines of a partial image that, unfortunately, showed nothing recognizable. The Mars 3 mission was not the first Russian disappointment in the Martian space race. A few days earlier, on 27 November, its twin Mars 2 had become the first human imprint on the surface of Mars, although it probably occurred in several pieces, since the landing sequence failed and the parachute did not open. In fact, the history of Martian exploration has always been tinged with a bittersweet flavour, but with luck spread unevenly – while most American missions have culminated successfully, Europe and Russia have still not been able to tread on Martian soil with an intact and fully functioning device. On 10 October 1960, in the frenzy of the space race, the Soviet Union was ahead of its American rival with the launch of the first spacecraft designed to fly over Mars. However, that first unnamed device, known as Mars 1M No.1 and dubbed Marsnik 1 (Mars Sputnik) by the Western media, only managed to reach Siberia. Four days later, a similar fate would befall its twin Marsnik 2. In 1962, the USSR would fail three more times with the probes Sputnik 22, Mars 1 and Sputnik 24. The US, for its part, was moving more slowly, but more surely. After the first unsuccessful attempt by Mariner 3, which lost propulsion due to a solar panel failure, its successor was launched on 28 November 1964, and for the first time managed to fly over Mars and send images back to Earth. The first photograph transmitted by Mariner 4 became a historical image of science when the mission team, eager to verify the operation of the equipment, decided to paint by hand the strips of paper with the numerical keys of colours that the probe sent by radio. Since then, the Martian competition has clearly tipped in favour of NASA, which in 1969 repeated it success with Mariner 6 and 7, and in 1971 with Mariner 9. Meanwhile, its Russian counterpart Roscosmos failed four more times. Mars 2 and 3 of the USSR were the first missions that combined an orbiter and a landing module, a concept that has been repeated on other occasions. And although the mission on the surface failed on both occasions, the orbiters did achieve their objectives, but by then, Russia had already lost the race for the Martian orbit. Discounting the short life of Mars 3, the USSR would also fail to conquer the Martian soil – it tried in 1973 with the Mars 6 and 7, but neither of them managed to land. Finally, on 20 July 1976, the American Viking 1 triumphed in the race for the surface of Mars, followed on 3 September by its twin Viking 2. The Viking landers finally revealed to us what the sandy, rocky landscape of Mars is like. But above all, they have been the only Martian missions to date specifically designed to search for life, and the results of their investigation sparked a controversy that has lasted until today. One of their four biological experiments, Labeled Release (LR), detected the release of CO2 after injecting nutrients into a soil sample, which was then interpreted as a sign of the presence of metabolically active microbes. However, the fact that another of the experiments did not find organic matter led to the conclusion that the LR result was a false positive. 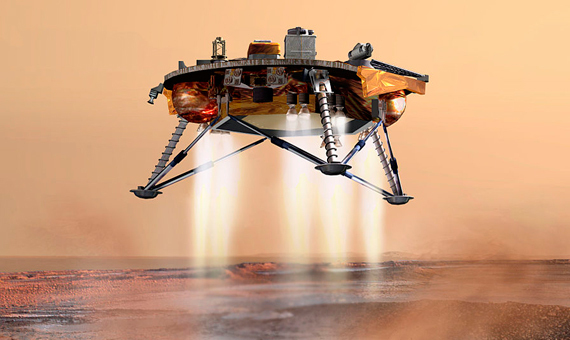 Today, the scientific community in general does not support the idea that the Viking lander experiments detected life, but the results are still considered inconclusive. Since then, luck has continued to favour NASA. Although it lost the Mars Observer (1992), Mars Climate Orbiter (1998) and Mars Polar Lander (1999) missions, the rest of its attempts have been crowned with success, including the landing of a fixed robot, Phoenix (2008) and five mobile rovers: the Sojourner (Mars Pathfinder, 1997), the twins Spirit and Opportunity (2004) and the Curiosity or Mars Science Laboratory (2012). No other space power has achieved an active presence on Martian soil. In 2003, the European Space Agency (ESA) opted for the combined model of orbiter and landing module with its Mars Express. But while the satellite worked perfectly, the small British-made spacecraft Beagle 2 never called home from Mars. In January 2015, images from NASA’s Mars Reconnaissance Orbiter (MRO) revealed what appeared to be the location of the Beagle 2, intact on the Martian soil, but with its communications antenna blocked by two solar panels that did not unfold. For its part, Russia lost its Mars 96 (1996) and its three missions destined for the Martian moon of Phobos, the last of them in 2011. Roscosmos and the ESA decided to undertake a joint mission to launch in two phases the ExoMars project. But the first part, launched in 2016, has failed to break the US monopoly – the Trace Gas Orbiter (TGO) reached its target, but the landing module, a small demonstration probe called Schiaparelli, fell silent during its descent last October 19. A few days later, images from the MRO confirmed the worst fears – Schiaparelli had crashed at high speed into the surface of Mars. Investigations have revealed that a software bug led the probe to believe that it was already on the ground when it was still 3.7 kilometres high, which ended the landing sequence prematurely. Europe and Russia will have a second chance in 2020 with the second phase of ExoMars, which will try to place a rover on the red planet. 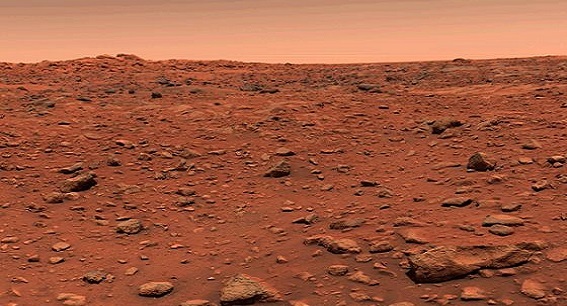 It will be a new opportunity to plant an alternative flag on Mars, but it will not be the only one – other powers like China and India are also planning their own landings. At the same time, the great ambition to set foot on our planetary neighbour is taking shape, with competition for the first time ever from private companies such as SpaceX, the firm run by technology magnate Elon Musk. All this has prompted more than a few experts to talk about the dawn of a new space race. As the Spanish astrophysicist José Juan López Moreno, who participates in the ExoMars mission, comments to OpenMind: “For over forty years it has been said that in the next decade man will reach Mars, but that same phrase is repeated with the passage of time and the final date is always moving.” Perhaps today the horizon is finally getting closer.